Cesstech offers a wide-ranging, state of the art, Novx brand of ESD Sensing / Process Monitoring Solutions which is now part of the product offering from Simco-Ion . Novx is a recognized leader in EMI/ESD detection & measurements and offers products that allow manufacturers to monitor ESD in production in real time, thereby shortening the corrective action loop and providing an opportunity to control their ESD environment. The Novx range of EMI/ESD equipment and monitors include ESD monitors, workstation monitors, Equipment ground monitors, Ionizer controllers and EMI / ESD measurement devices, detectors & tools. 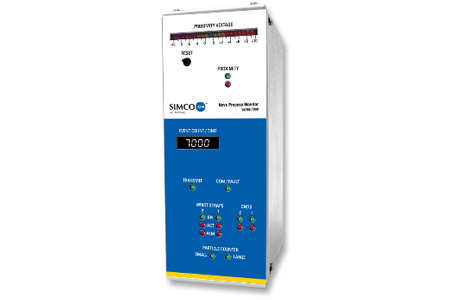 Simco-Ion’s Novx Series 7000 Process Monitor is a multi-purpose microprocessor based instrument for monitoring critical electrostatic related parameters in work station and process environments. The six dedicated use channels provide the flexibility to customize the instrument for the monitoring capability and communication required at each location. 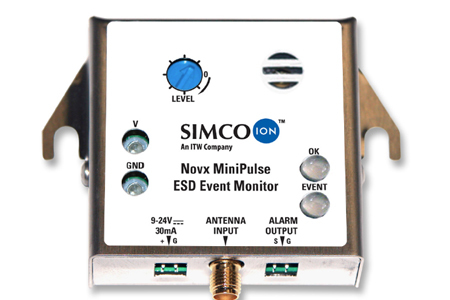 Simco-Ion’s Novx MiniPulse ESD Event Detector is designed for tool and process monitoring. This affordable, small footprint embeddable monitor has been developed to warn of product damage risks at the point of electrostatic discharge. The MiniPulse uses time domain and threshold discrimination to detect pulse electromagnetic energy. Through the use of specific antenna configurations and placement, the MiniPulse can provide ESD event detection for well-defined small areas.